An unconventional love story about two “scar-crossed” lovers who allow their defenses to drop and their wounds to show. 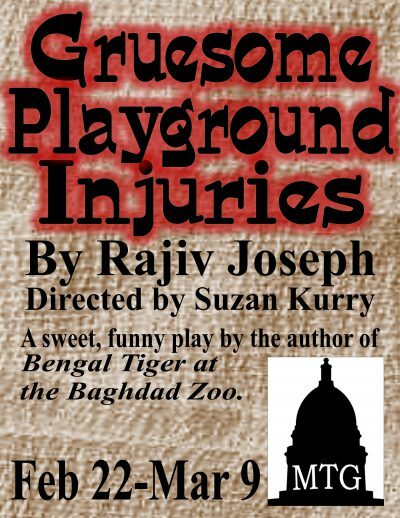 Gruesome Playground Injuries will be performed on the Evjue Stage. Approximate run-time: 90 minutes without intermission. Herbal cigarettes are used in the production briefly. Parental discretion advised — adult subjects.